Discussion in 'Archive' started by SpectroPluto, Nov 30, 2005. Just got this at Wal*Mart today for $9.99. I was pleasantly surprised by this CD! Some great arrangements and beautiful voices! Unfortunately, there are no vocal credits anywhere in the notes. Snow White's voice holds very true to the original without sounding too sickeningly sweet. If I am hearing it correctly, Belle is voiced by Susan Egan and not Paige O'Hara. One personal favorite is "The Holly and the Ivy" as sung by Mulan (Lea Salonga). "Twelve Days of Christmas" has a fun Princess theme to it, also! Good to hear that at least some of their recent song albums manage to entertain adults as well. 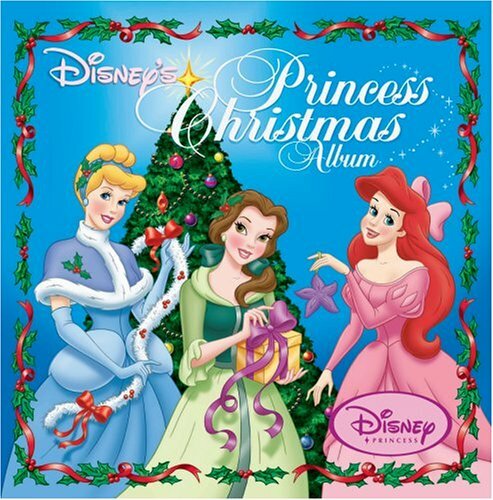 One question: how is track 14 "Beautiful (christmas version)" different from the regular version as included in the re-release of the Cinderella soundtrack and the Disney songbook CD?